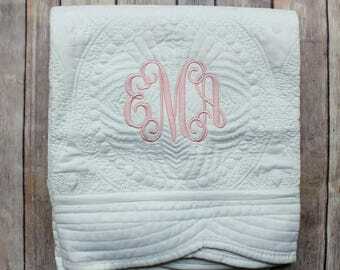 This listing is for a personalized monogrammed baby quilt for your sweet baby girl. The scalloped edges of the blanket add a sweet detail, and the full name monogram make this quilt extra adorable! 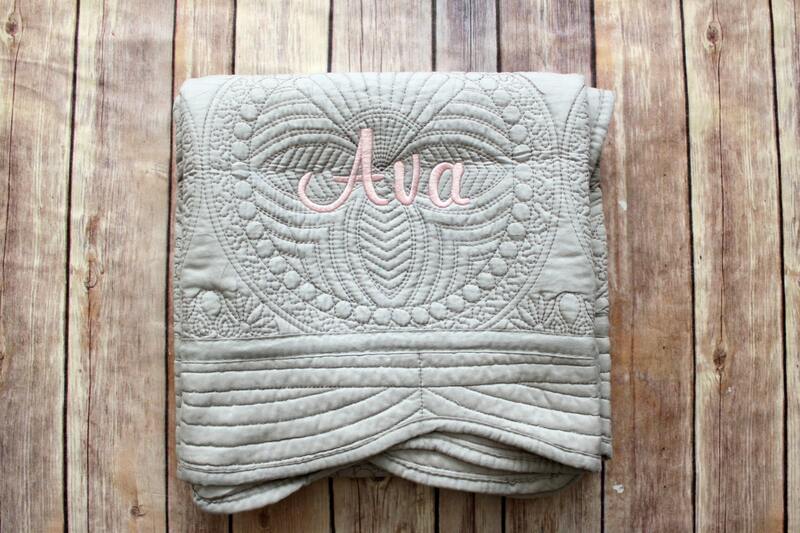 Personalized quilts arrived and they are the perfect gifts. 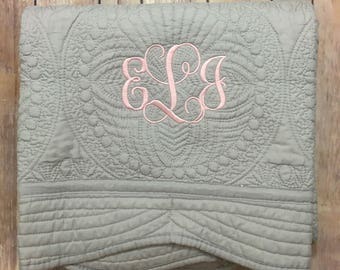 Great quality blankets and stitching. 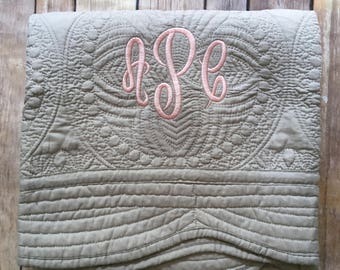 My nieces will love them!